Home / Video / 3000hp Corvette Goes AIRBORNE! 3000 horsepower?! 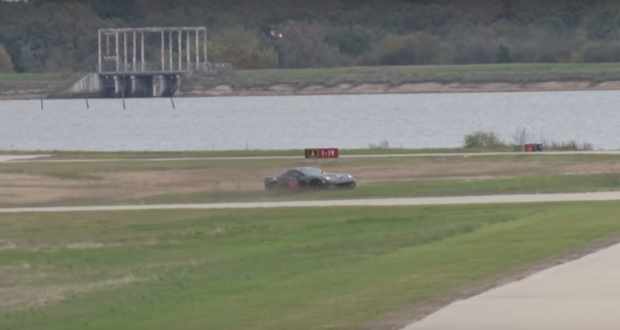 It is not surprising that the traction is a little problem as drivers tried to 200mph through the WannaGOFAST Texas 1/2 mile. We would never have expected to see the car slide 300 feet away before jumping across the two-lane road like a rally car! What saved! While this is crazy Kelly Bise races Corvette is not turned all the way up to 3,000hp potential, you can see from 88mm Twin Turbo is tucked under the rear bumper, feeding 427ci engine … this thing can do some serious power! Typically parachutes will correct you when you are in trouble as a driver here did, but you can see the parachute torn from the back bumper mid-spin, which results in a crazy ride.